Maine-ly Lobster > Uncategorized > The Clam Shack: Fan Favorite for Best Lobster Roll in America! The Clam Shack: Fan Favorite for Best Lobster Roll in America! 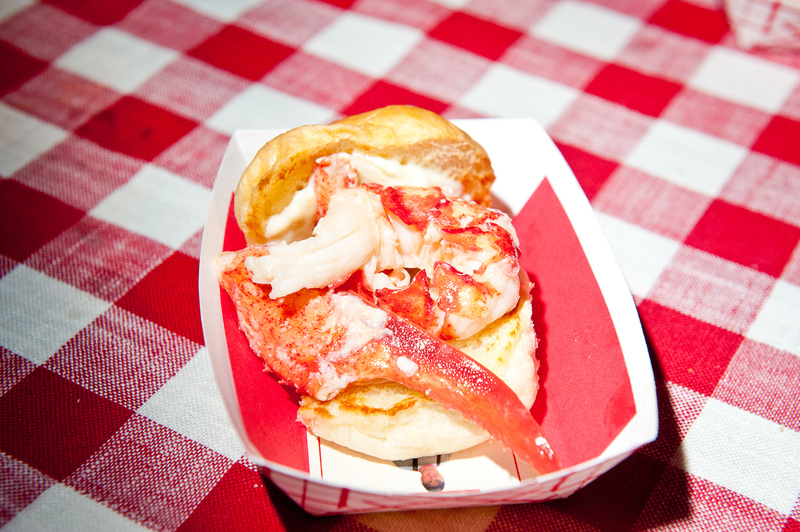 event tasted and voted on 20 of the best lobster rolls from around America. Included in the mix where three of my favorite lobster roll makers, Luke’s Lobster, Red Hook Lobster Pound and The Clam Shack. I love Luke’s Lobsters and Red Hook Lobster Pound (both NYC-based) as they source their lobster meat directly from Maine. Luke’s have won the rumble the last two years running and were a strong contender this year as well. I was especially rooting for The Clam Shack, however, as they were the only Maine-based contender in this year’s contest for the best lobster roll. According to Tasting Table’s website, which has recently been updated, The Clam Shack has won as fan favorite for the best lobster roll in America. This is wonderful news and will provide an added boost to their already insane popularity – The Clam Shack was also recently mentioned as one of the top 10 lobster shacks in Maine by Travel and Leisure Magazine.What is the secret to the success of The Clam Shack lobster roll? It all comes down to the lobsters. They store their lobsters in fresh salt water right up until they’re ready to be cooked, which keeps them plump and hydrated. The Clam Shack also only use new shell (or shedder) lobsters, which contain much sweeter meat than hard shell lobsters. Congrats and go Maine! Now I just have to get my hands on their lobster roll recipe! To read more about where to get the best lobster rolls in Maine, click here. « Who Makes the Best Lobster Roll in the World?